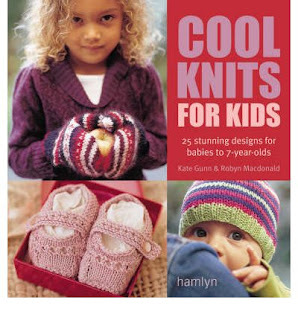 , a book that had been gifted to me while I was expecting Baby Suisse and which I had already used to knit him a woolly hat last winter. I really like the colour of the booties although I can't believe how small they are (how quickly one forgets how tiny babies' hands and feet are). Using some more wool I had kicking about in my stash, I decided to slightly adapt the pattern for a hat I had used in the past for myself (which you can also find on Ravelry, follow my link on the side of the blog) and which I posted on Handmade Monday in October 2011. The giant button on the front of the hat has always been my favourite part of this hat. It is obviously to big for the little baby girl just now but it'll be handy to survive the Glaswegian winter in a few months time. Once again, waste not, want not, I used the left over wool to make a neckwarmer for one of my nieces for this winter too (pattern found on Ravelry page once again). Come and join me browsing at Handmade Monday! Cool fast knits. The socks look so adorable. I missed the socks last week, but your little shoes look adorable, as does the hat. The wool you've used is beautiful. Oh how I love those little baby booties! Love the little shoes. The wool is very pretty. Really cute booties and hat too - I love the button detail. Well done for using up your leftover wool! Once bitten, twice shy... not I!